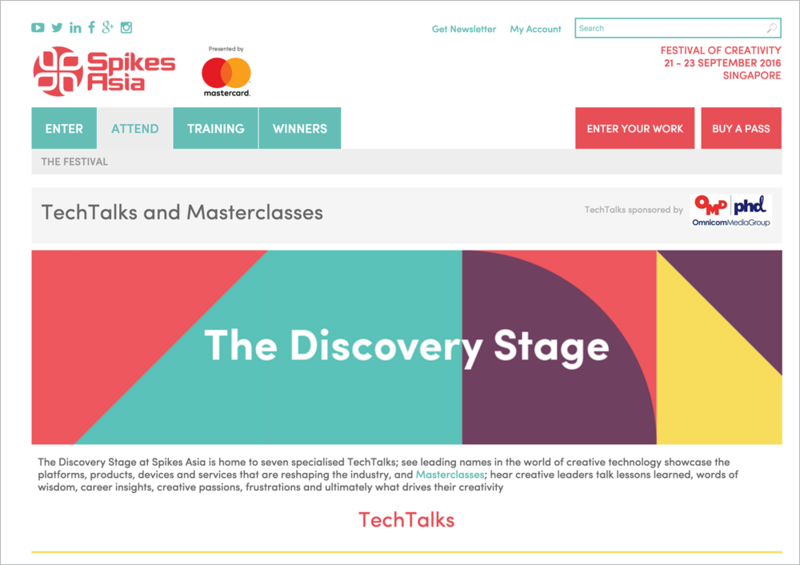 Watch out for TechTalks, a series of future-focused sessions at Spikes this year. The popular advertising festival, Spikes Asia returns to Suntec Singapore on 21st-23rd September 2016. This year the awards show and conference will be offering TechTalks sponsored by Omnicom Media Group. The speakers in this segment will examine the transformative technology that is turning the advertising and marketing industry, as well as our personal lives, upside down. The programme includes presentations and hands-on workshops covering everything from Virtual, Augmented and Mixed Reality to the Internet of Things plus Programmatic and Audio technology. Entertainment Jury President, Silvia Goh, Chief Content Officer for Publicis Media, Greater China, is amongst the speakers and will cover the changing face of entertainment in the region while Tuomas Peltoniemi, President, TBWA\Digital Arts Network, Asia Pacific, will delve into how individuals interact with new technological experiences. TechTalks sessions on the Discovery Stage, another good reason to come to Spikes this year. Don’t wait for the future, make sure you are there at Suntec next month.